Dallas and Green Bay have quite a rivalry over the years, and this should be another good one. The Packers are 3-1 but have suffered a litany of injuries across their offensive skill positions. The Cowboys offense is finally rolling but the team hit a road block against the Rams and needs a win to stop from falling out of the NFC big picture. There should be plenty of offense in this one, so start ‘em if you got ‘em. 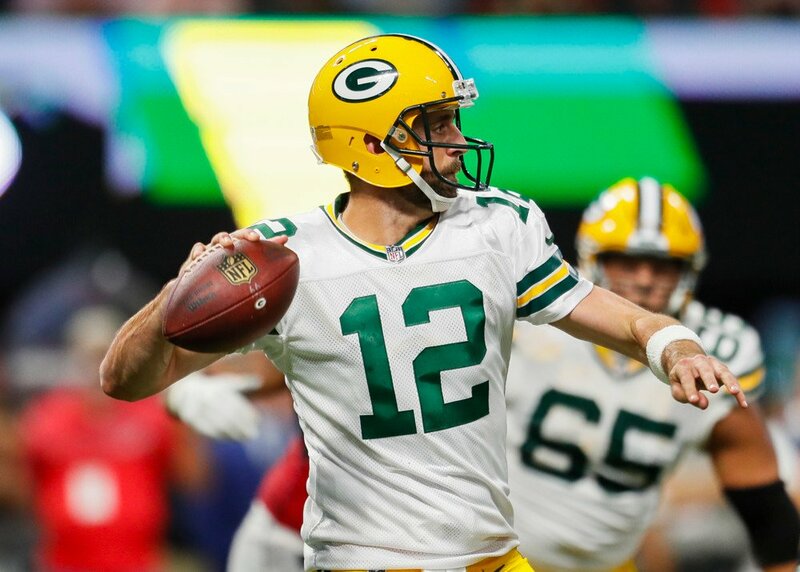 Rodgers is awesome and loves playing Dallas, averaging 294 yards and more than two TD a game in his last five games against Dallas. He could be this week’s top fantasy play against a poor Dallas defense. Montgomery is day-to-day with a rib injury and the Packers tend to play it safe. But Dallas has allowed 30 receptions to RBs already, second most of any team, so he’s worth the risk in your lineup if he’s playing. Jordy continues to roll, with four touchdowns the last two weeks. There’s no reason to think he’ll slow down against the Cowboys, and he has a great chance to find the endzone again. Cobb looks like a must start this week against a poor Dallas secondary, especially in PPR leagues. He could have more opportunities than usual if Davante Adams is out, and don’t be shocked if he lines up some in the backfield with Green Bay’s RB injuries too. You have to believe Adams will have a smaller role even if he plays Sunday, but he is still worth a start if he suits up. If not, Allison is the perfect waiver pickup start this week. The Packers have been tough on opposing QBs with only four TDs allowed so far, but Dak Prescott has quietly been one of the most consistent fantasy QBs so far. He’s increased his points every week and has six TDs the last two weeks. He looks like a very solid starter choice. If you drafted Zeke in the second round or later, you’re probably feeling pretty smug right now. He’s finally rolling, and the Packers have allowed the second most RB TDs so it should be another great week ahead. Bryant hasn’t had a huge game yet, but he continues to see a big target share for Dallas and had a monster game against the Packers in January with nine catches for 132 yards and two TDs. He loves playing the Packers. Williams has more receptions than Dez Bryant and could be a sneaky flex play if you’re short on options with the bye weeks starting up. Green Bay has been the league’s second stingiest defense against tight ends but they haven’t really faced anyone. Witten is Prescott’s security blanket and remains a low end TE option.